The first aspect about Lortab weight loss that you need to know is that it's not a weight loss program, exercise plan or diet supplement. Lortab is actually a prescription medication for pain relief and one of its many side effects is quick and dramatic weight loss. Swift, easy and substantial weight loss without diet or exercise may appeal to some, but ultimately taking Lortab for something it's not intended for is a bad idea and unhealthy. Lortab is a prescription painkiller composed of hydrocodone and acetaminophen (the active ingredient in Tylenol). Hydrocodone is a powerful painkiller, while acetaminophen is a much milder pain reliever. However, when together acetaminophen enhances the effect of hydrocodone, making for one intense drug intended to alleviate discomfort for those experiencing severe pain. As aforementioned this drug is also available solely by prescription and physicians only prescribe the drug to those experiencing severe pain. This means that if one lies or exaggerates feelings of pain in order to be prescribed Lortab with the actual intent of taking the drug for weight loss, then they are engaging in fraudulent practices. In addition to this long list of side effects, Lortab is highly addictive. Nearly all patients taking the drug for pain management must be weaned off it. Even then, they experience intense withdrawal symptoms. You will be able to find several companies and self-proclaimed gurus selling and marketing Lortab weight loss programs. They feature websites full of stories from "real" individuals who lost large amounts of weight over just a few weeks time. 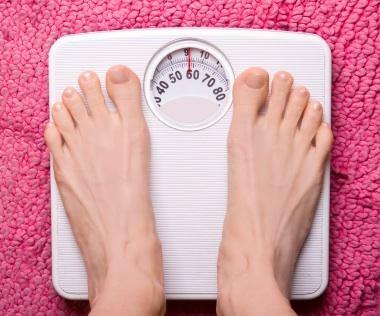 What these companies purport is true, Lortab is proven to cause weight loss, but they usually do not warn that the weight loss is actually a side effect, that the drug is addictive and has a whole host of other dangerous side effects. Most of these companies also do not have an about page or true contact information. Some companies have a contact us page, but only have a basic form that users fill out, putting in their contact information and asking a question. Typically, no phone numbers, addresses or emails are listed. These are all red flags that a company may be using unethical or misleading business practices. Furthermore, do not forget that Lortab is a prescription drug and how many of these companies even obtain Lortab and then redistribute it is not specified. Overall, Lortab will cause extreme weight loss for most who consume it. However, the question then becomes at what cost? The risk of heavy side effects and addiction far outweigh any potential benefits of losing weight in an unhealthy manner.